Procuring a liquor license in San Diego isn’t always the easiest task as regulations, zoning permits, and other legal stipulations convolute the process. If you’re opening a bar, nightclub, or restaurant that serves alcohol, you’ll need to secure the proper liquor license in San Diego. Whether you’re looking to purchase a full on sale liquor license or you’re in pursuit of a San Diego liquor license for beer and wine, License Locators can help you find and purchase the alcohol permit you need at a fair price. As liquor licenses distributed in California are limited, areas with a large population often see fierce competition. This can drive up prices and make it harder for proprietors to track down the liquor licenses they need. In San Diego, a bevy of restaurants, clubs, and bars have made securing the proper San Diego liquor license a difficult undertaking. With such high demand, buyers can often find it difficult to quickly acquire the alcohol permit they need to make their business a success. From start to finish, License Locators’ team of professionals can help you obtain the alcohol permits you need. 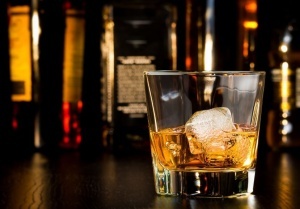 There are many types of liquor licenses in California, and they vary by business intention. Will you be serving food in your establishment? Or will you strictly serve beer and wine? The answers to questions like these can help you determine what type of San Diego alcohol permit you need. We can help you navigate these questions and determine which San Diego liquor license will best suit your aims in your entrepreneurial endeavors. There are a variety of liquor licenses to choose from, and each is designed for a different purpose. One of the most popular license types is a Type 47 liquor license. This permit allows business owners to sell hard liquor and spirits, along with wine and beer inside a bona fide eating place. If you’re looking to open a restaurant and serve liquor, this will be the type of license you need to acquire. If you’re looking to only serve beer and wine within your restaurant, you’ll need to acquire a Type 41 license. The process of securing a liquor license in San Diego can be difficult to navigate. We can help you with each step of the process. We’ll provide guidance on location stipulations, help you determine the type of license you require, and direct you on the proper zoning laws and permits to make the process as painless as possible from beginning to end. Obtaining a liquor license can take months, but License Locators can help you search and garner a deal on the alcohol permit of your choice to ensure a quick and efficient progression. We’ll help you get the application process right from the get-go to better assure your chances of approval. The cost of San Diego liquor licenses can greatly vary, ranging from hundreds of dollars to hundreds of thousands of dollars. The price depends on variety of factors, including location, purpose, and the type of license required. In populous cities like San Diego, competition can easily drive up San Diego liquor license prices, making it vital to use a brokerage service like License Locators to help you secure the best deal. We can help you find the right sellers with the permit wares you need so you can get started with your business pursuits sooner. We’ve helped proprietors of all types of businesses secure the San Diego liquor license they need, including large convenience stores, hotel chains, restaurants, drug stores, and small family-owned businesses. Our years of experience enable us to transfer hundreds of licenses each year, making sure our clients get the permits they need at a price they can afford. Whether you need a full liquor license to serve a cache of spirits at your new bar, or you’re looking to secure a simple beer and wine license at your restaurant in San Diego, License Locators can help you find and secure the permit you need.